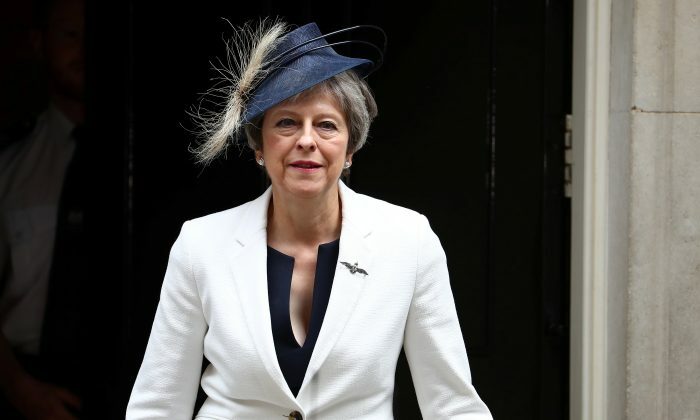 LONDON—British Prime Minister Theresa May moved to reassert her authority on July 10 after two top cabinet members quit and launched broadsides against her Brexit plans, winning support from many of her ministers including a leading eurosceptic. May said she had chaired a “productive” meeting of her government, unswayed by the resignations of Foreign Secretary Boris Johnson and Brexit negotiator David Davis that rocked the government on July 9. Among those rallying around the prime minister was environment minister Michael Gove—a prominent campaigner to exit the European Union alongside Johnson for the 2016 referendum—who said he would not follow suit by resigning. With less than nine months until Britain is due to leave the bloc, May is sticking to her plan for a “business-friendly” Brexit. Her spokesman said she had welcomed the new members of her cabinet and they had discussed the publication of a white paper policy document on Britain’s future ties with the EU and stepping up preparations for any no-deal outcome to the negotiations with Brussels. 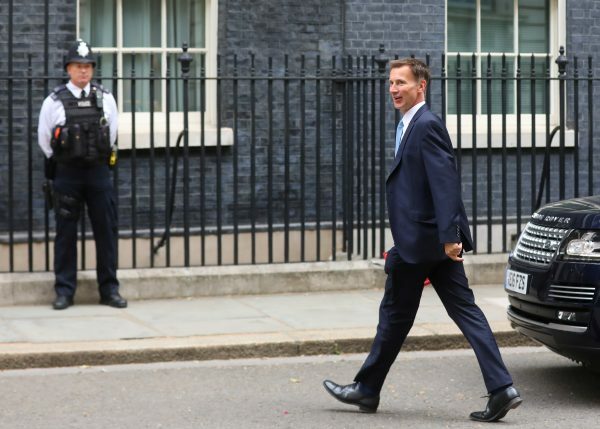 “I think it is right that the cabinet backs the prime minister and speaks with one voice and if people don’t do that then they have to go,” Justice Secretary David Gauke told BBC radio. May must now move quickly to try to win the EU’s support for her Brexit proposal to unblock talks. These have all but stalled because of her reticence of show her cards until now for fear of angering one of the two main factions of her party. The British leader may have stilled the waters over a possible leadership contest, but some Conservative Brexit supporters are still incensed over what they see as her decision to break her promise for a clean break with the EU. “It is the ultimate betrayal of our democracy and people’s belief in it. It’s not even an accidental betrayal, it was planned and plotted well in advance,” said Conservative lawmaker Andrew Bridgen. “Never have so many campaigned for so long and so hard for so little,” he told Reuters. But while many Brexit campaigners were still hoping for a vote of confidence to oust May, it is unlikely that they have the numbers. They also are in a minority in parliament to try to change any deal that is agreed with the EU. At a meeting with Conservative lawmakers on July 9, she was cheered and applauded by many, having warned them that internal squabbling could pave the way for socialist opposition leader Jeremy Corbyn to take power instead. May’s proposals for a future EU relationship after Britain departs from the bloc next March had taken two years of internal government wrangling to agree. But within 48 hours Davis had quit and Johnson followed. The Daily Telegraph newspaper ran a photograph on Tuesday of him, pen poised, resigning as foreign minister. Three junior ministers also quit their posts.